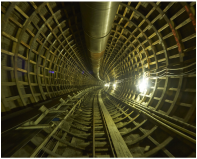 ​NTH utilized tunnel & underground engineering experience to help the City of Lorain choose an optimal alignment to minimize risk and maximize future high value land development opportunities. 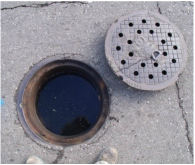 NTH was retained to investigate and provide engineering services for a sinkhole in the City of Sterling Heights with a diameter of 11 feet. 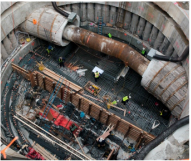 NTH is leading the construction administration team including on-site resident engineering, as-needed construction engineering, submittal reviews, contractor substitutions, pay applications, and community outreach programs. 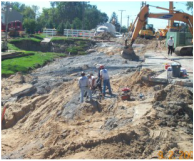 NTH conducted an investigation into the cause of a sinkhole that developed in Southfield, Michigan. 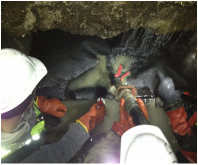 NTH’s analysis lead to a repair effort to stabilize the undermined foundations of the culvert. 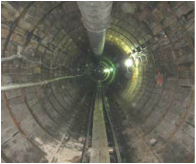 ​NTH provided geotechnical engineering and instrumentation investigation, design services, construction material testing and geotechnical instrumentation monitoring services fo​r a proposed 96-inch inside diameter upstream storage and conveyance tunnel with pump station.